The beginning of the year marks the flower season here on Okinawa. 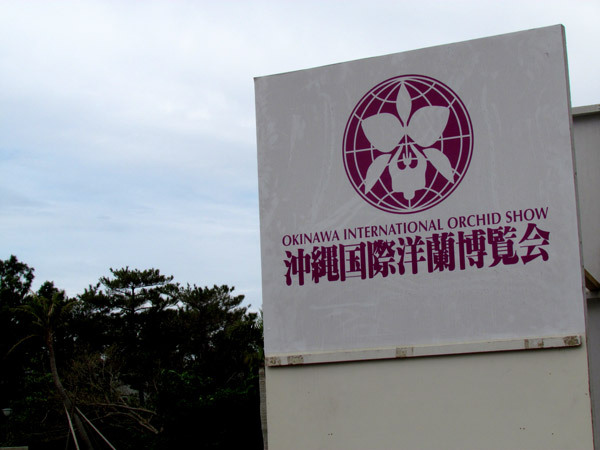 First there are the Cherry Blossoms, then Sunflowers, and then in February, the annual Okinawa International Orchid Show takes place at Expo Park in Motobu. It is here that orchids from around the world are put on display in an array of beauty to be judged for competition. If you are a flower lover, then this is one event you don't want to miss. According to their website, there are at least 10,000 entries from around the world. About the Competition. There are two divisions for competition: the 'Certification Division' and the 'Competition Division'. The Certification Division covers new hybrids species not yet certified by other organizations and the Competition Division is broken into five sub-categories which include: Potted, Cut Flower, Flower Display, Flower Design (small-large arrangement), and International Entrants. First, second, and third cash prizes are awarded per respective Division/category and a then an overall Grand Champion is selected. Please go to photo album above, or click here to see other photos of orchids. Show Period. February (normally about 9-10 days) (2016 January 30 - February 7). Directions. 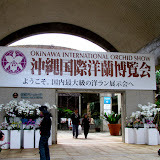 The Orchid Show is at Expo Park in Motobu Town off of Highway 114. 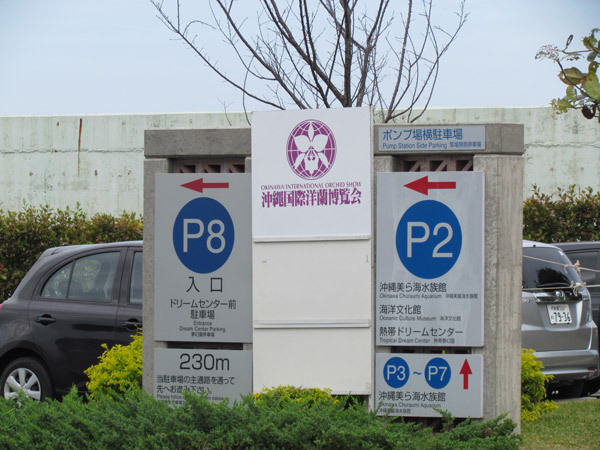 To get close to the Orchid Show look for the landmark sign, Parking Area 8, (see map above) and several signs for the Okinawa International Orchid Show. You can also use the swirly tower as a navigating landmark. 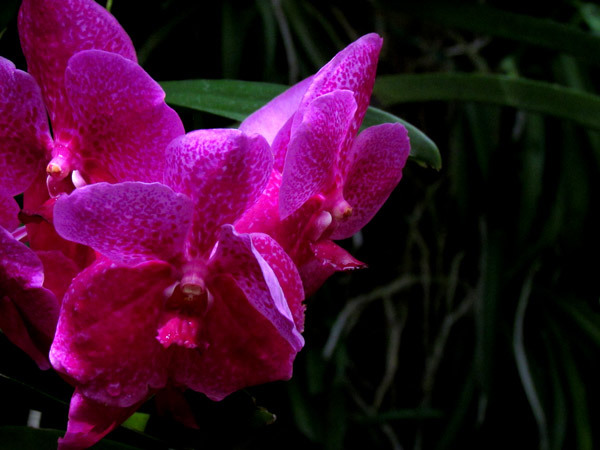 Genus Categories: Some of the genus categories of the orchid family found on display include, but not all: Paphiopedilums, Brassavola, Broughtonia, Cattleya, Epidendrum, Lealia, Encyclia, Phragmipedium, Calanthe, Lycaste, Bulbophyllum, Maxillaria, Zygopetalum, Habenaria, Odontoglossum, Cochlioda, Dendrobium. 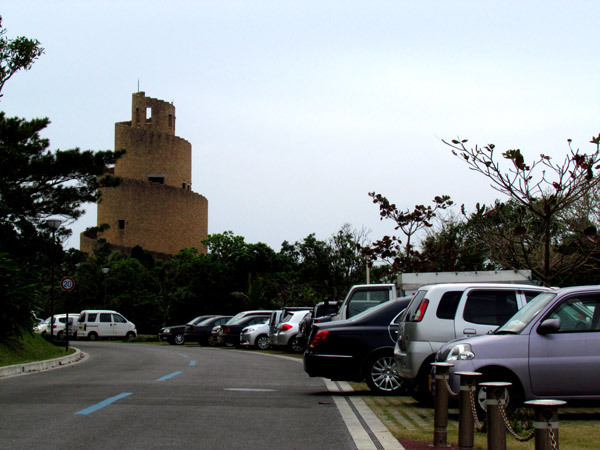 Other places of interest nearby: Fukugi Trees of Bise Village, Bise Village Shell Shop. Sounds like an amazing festival, 10,000 entries. I'm just happy spring is nearly here.